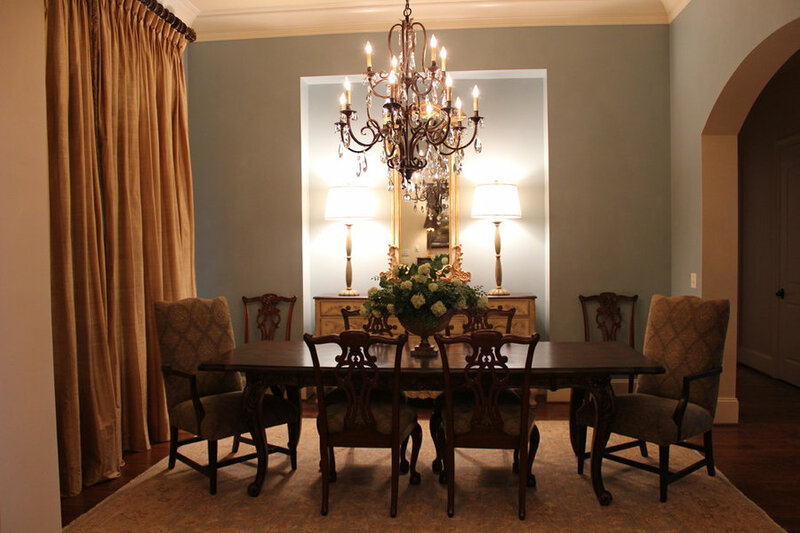 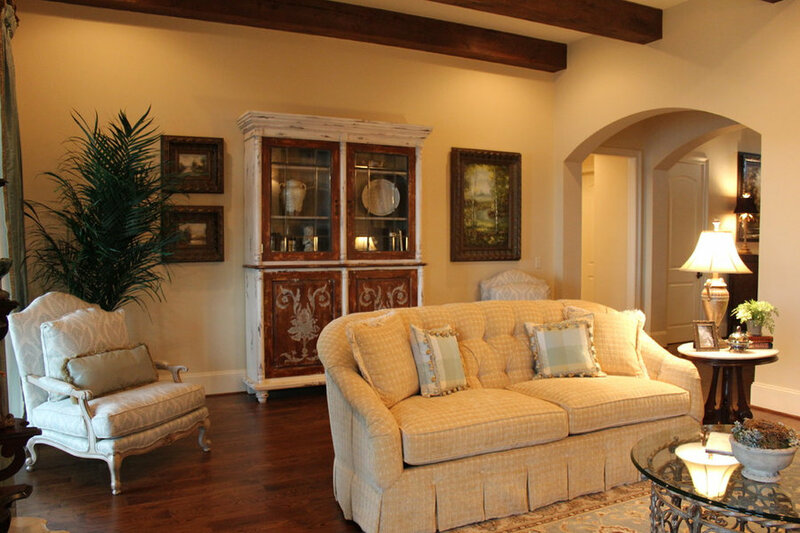 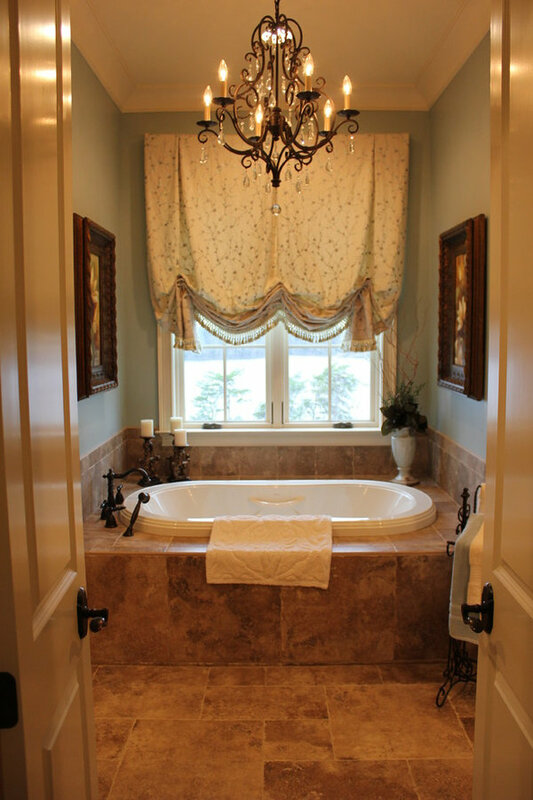 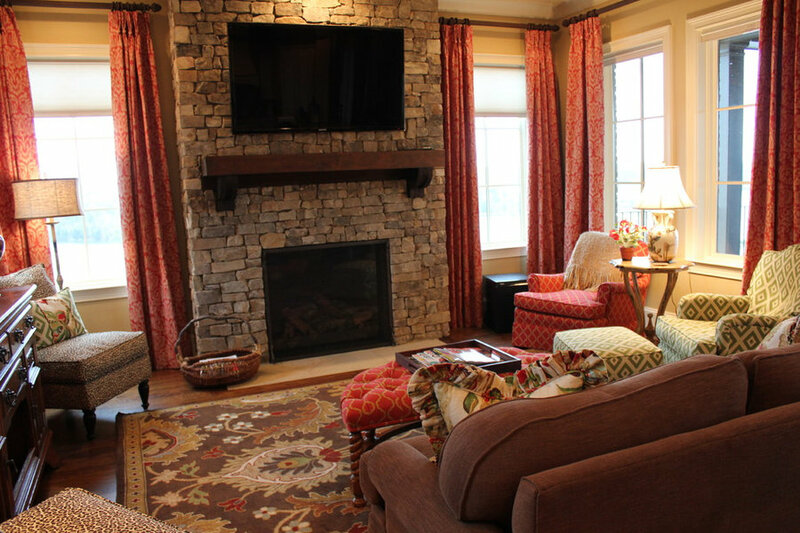 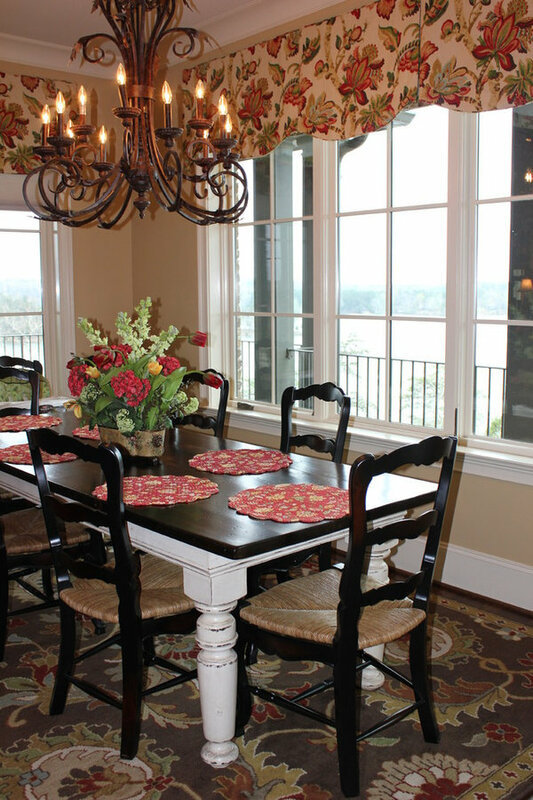 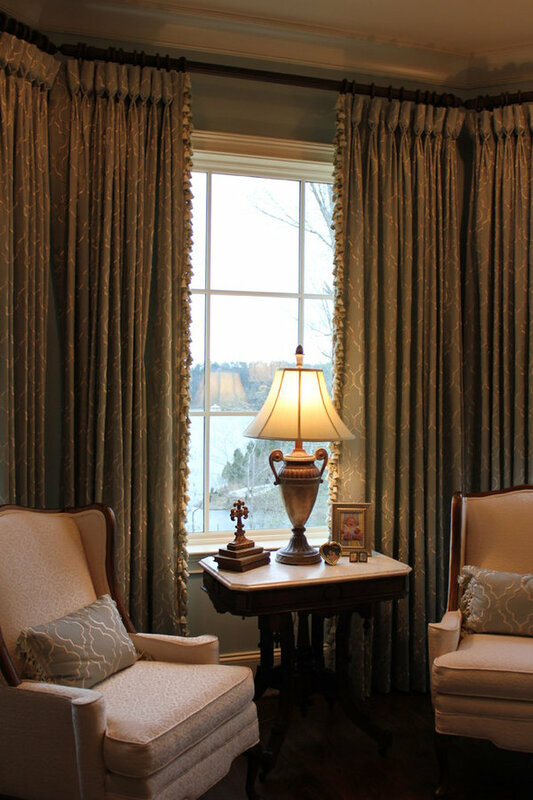 Located on Lake Tuscaloosa, this client was looking for a serene interior to flow with their amazing exterior views. 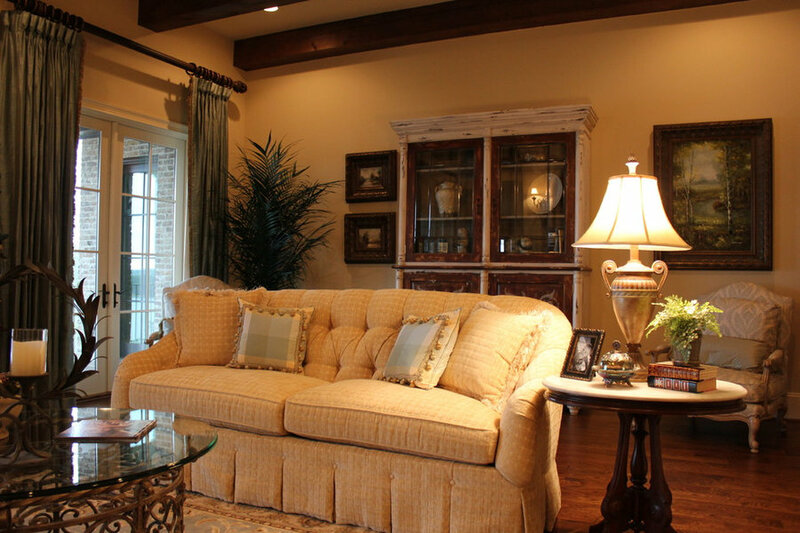 We helped achieve this goal first by helping them in selecting paint colors and finishes that complimented the warm sunny days and calming blue water they were sure to enjoy at their new home. 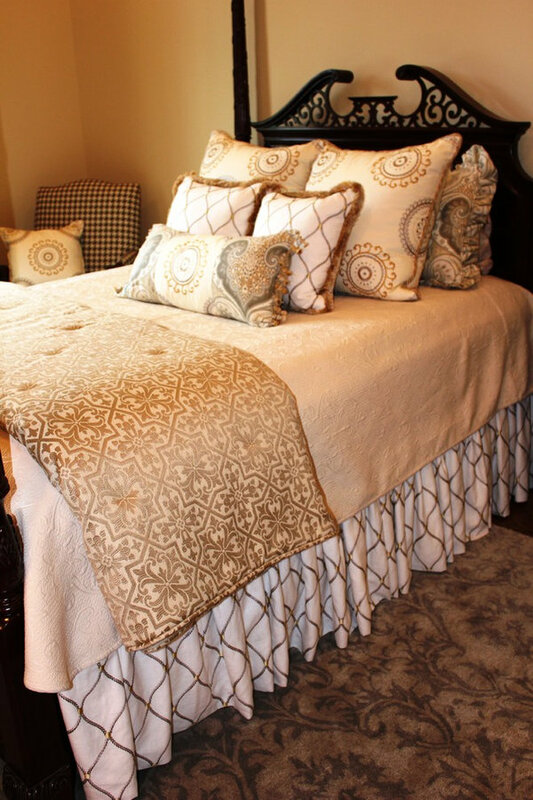 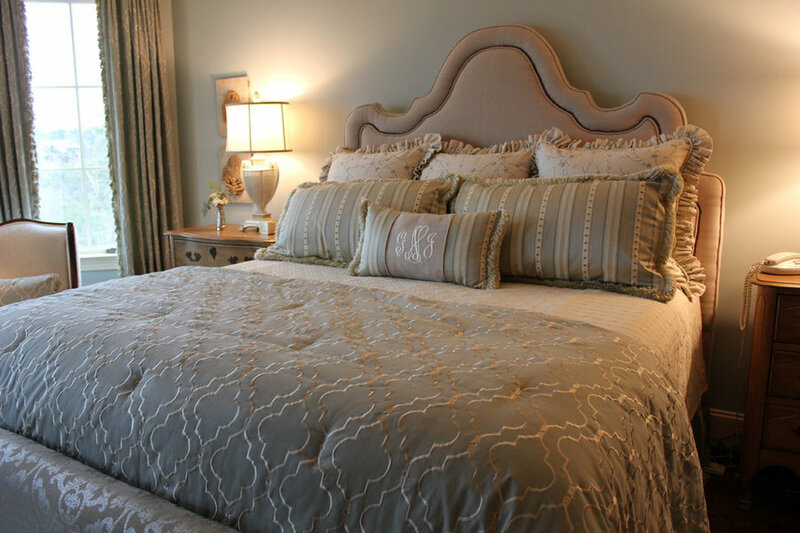 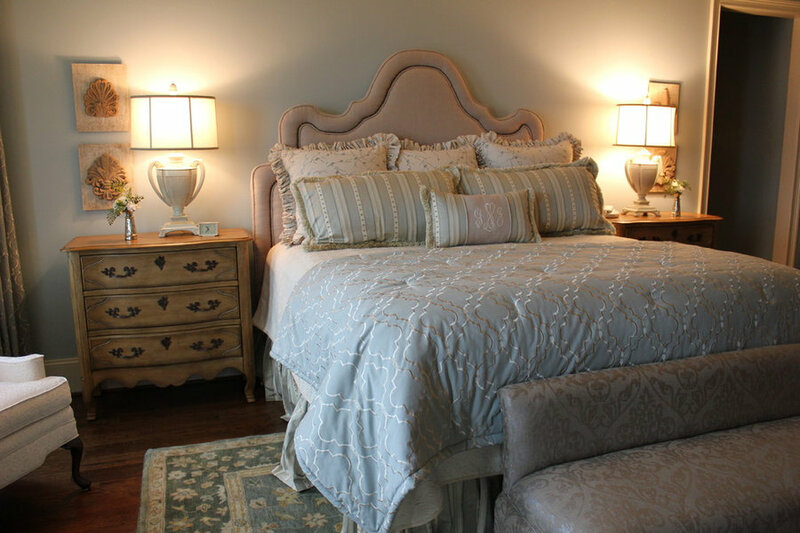 We then chose pale aqua and cream fabrics for the master bedroom and living room, and selected bright red, green, and gold for the kitchen and keeping room. 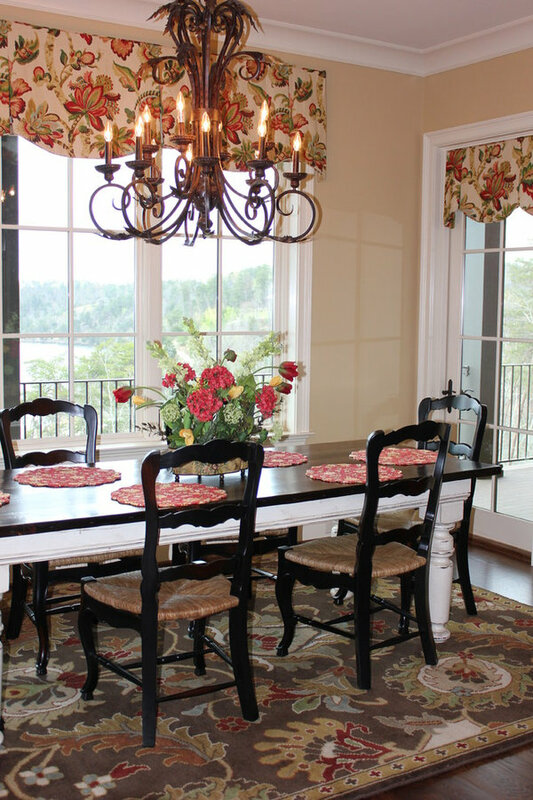 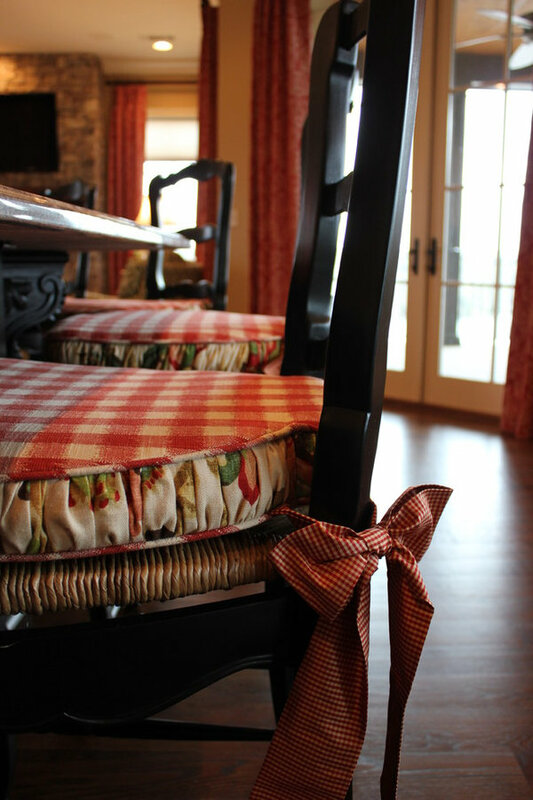 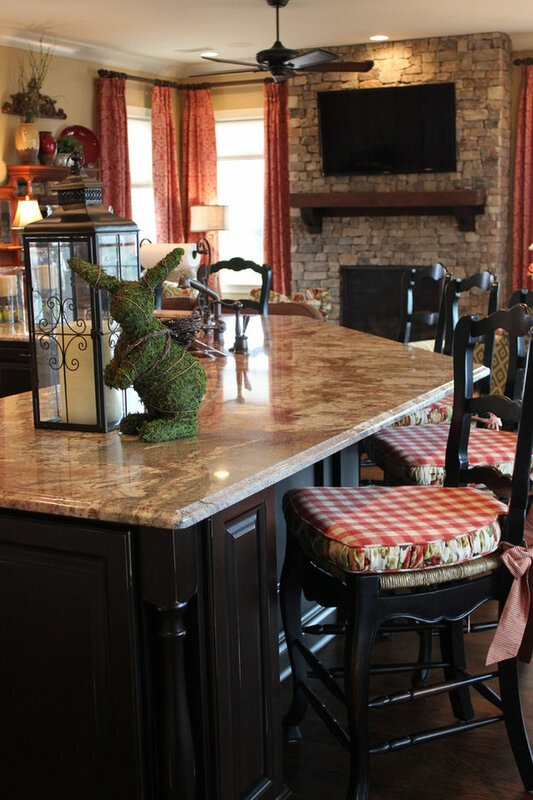 Once all the finishing touches were complete, this lake house was beaming with rustic elegance!